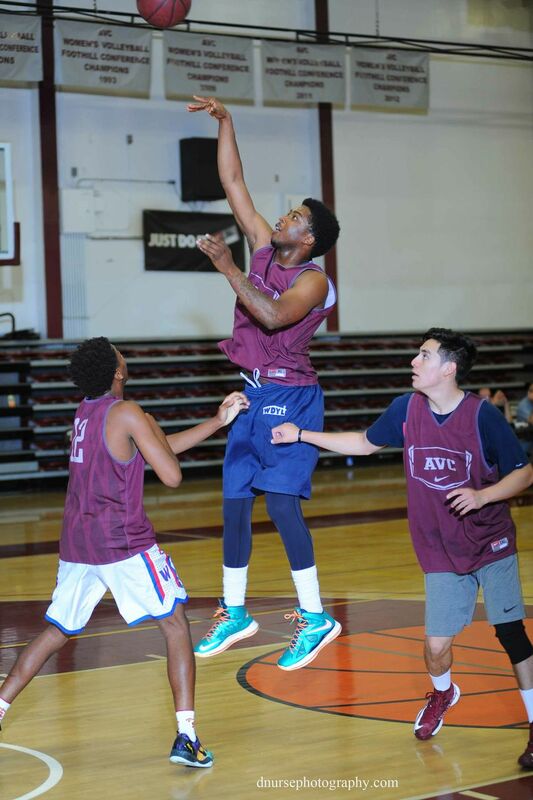 Last year, Antelope Valley College coaching staff received a call from forward Kendrick Thomas, 6’7”, 225 from Citrus College, expressing interest in playing for AVC. Thomas was a starter for the Citrus team who along with AVC made last year’s final four in the state tournament. Kendrick led Citrus in rebounding with 244(8.1 per game) and scored nearly 9 points per game. Thomas sat out last year at AVC per NCAA and California Community College transfer rules. This is Kendrick’s final year in JUCO and he must be ready up grade his game. He goal is to receive a D-1 scholarship at the highest level possible. K.T. came into summer basketball practice in good shape. He is strong, has a nose for the rebounds, has improved his mid-range shooting, and runs the floor well. It will take several months to get Thomas back into elite basketball playing shape. With Kendrick at full strength at one of the forward slots, AVC is going to have a dominating rebounder, scorer, and defensive brute that can dominate the game.